End of the ICE AGE is Available Now! More than two million years ago the earth plunged into a deep freeze. Vast ice sheets formed in the north - sometimes two miles thick - and shaped life around the globe. and life is beginning to change. With stories unfolding in both Southern California and the frozen tundra that was the European continent, follow a family of Saber Cats as they hunt for their very survival. Experience the epic battles of Dire Wolves, Mammoths, Woolly Rhinoceroses, and Giant Sloths,all struggling for survival in the epoch of THE ICE AGE. 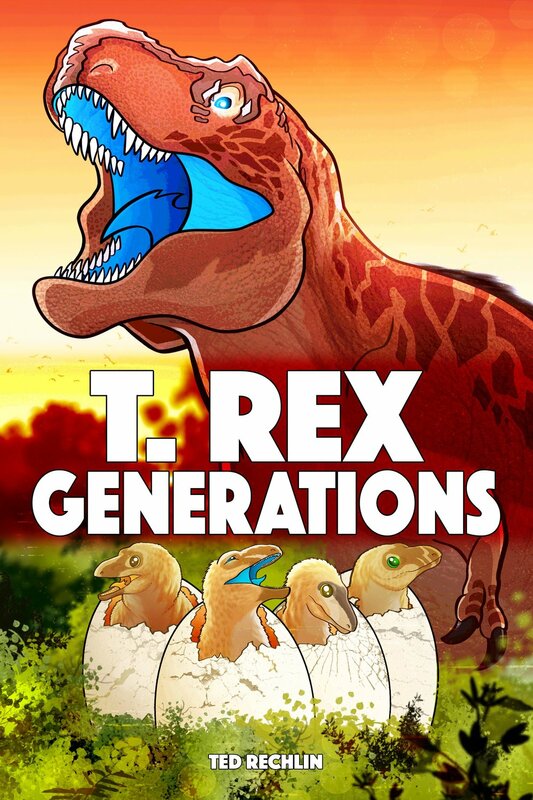 T. REX GENERATIONS - COMING FALL 2018! You think it is hard growing up now? during the reign of the king of the dinosaurs. to be over forty feet long and weigh nine tons. Follow Cobalt and Sierra, a mated tyrannosaurus pair as they raise their four hatchlings in what is now Hell Creek, Montana. be enough to protect their offspring? coming-of-age story like no other. SHARKS by Ted Rechlin Wins Pinnacle Achievement Award! 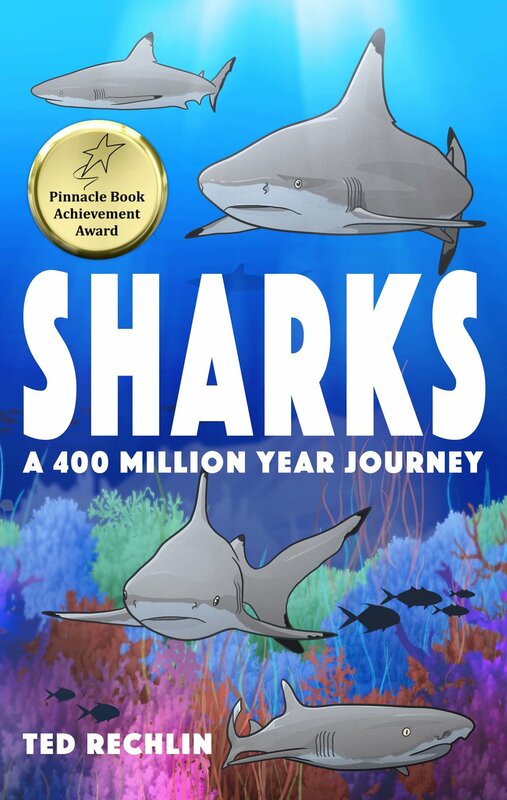 Rextooth Studios is pleased to announce that SHARKS: A 400 Million Year Journey by Ted Rechlin has won a Pinnacle Achievement Award! "In this exceptional book, hard science is boiled down to its essence and put into context through outstanding visuals." JURASSIC by Ted Rechlin is a Foreword Reviews Book of the Year Finalist! BOZEMAN, MT—Today, REXTOOTH STUDIOS is pleased to announce JURASSIC has been recognized as a finalist in the 20th annual Foreword INDIES Book of the Year Awards. As part of its mission to discover, review, and share the best books from university and independent publishers (and authors), independent media company Foreword Magazine, Inc. hosts its annual awards program each year. Finalists represent the best books published in 2017. After more than 2,000 individual titles spread across 65 genres were submitted for consideration, the list of finalists was determined by Foreword’s editorial team. Winners will be decided by an expert team of booksellers and librarians representing Foreword’s readership—from across the country.